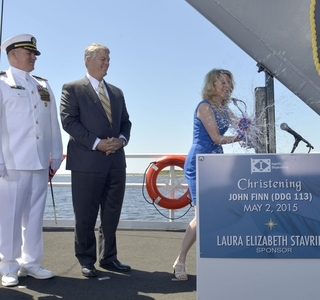 PASCAGOULA, Miss., Nov. 11, 2016—Huntington Ingalls Industries’ (NYSE:HII) Ingalls Shipbuilding division announced today it successfully completed the third and final round of sea trials for the guided missile destroyer John Finn (DDG 113). 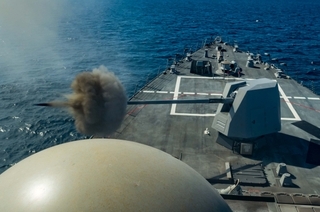 The Arleigh Burke-class (DDG 51) destroyer spent two days in the Gulf of Mexico testing the ship’s various systems for acceptance trials. The U.S. Navy’s Board of Inspection and Survey (INSURV) spent time onboard evaluating the ship’s overall performance during the final set of sea trials. 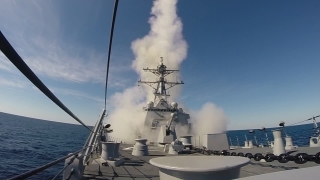 The Navy required three sea trials as part of the restart effort on the DDG 51 program. Now shipbuilders will put the final finishing touches on the ship for its delivery in December. 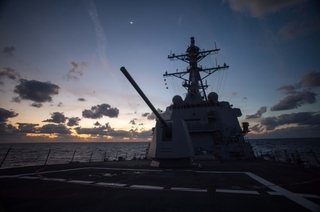 Ingalls has delivered 28 Arleigh Burke-class destroyers to the U.S. Navy. 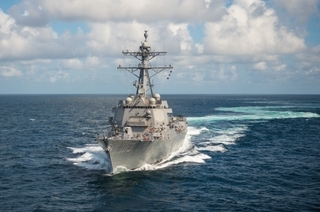 Other destroyers currently under construction at Ingalls include Ralph Johnson (DDG 114), Paul Ignatius (DDG 117), Delbert D. Black (DDG 119) and Frank E. Petersen Jr. (DDG 121). Construction of Lenah H. Sutcliffe Higbee (DDG 123) is scheduled to begin in the second quarter of 2017.